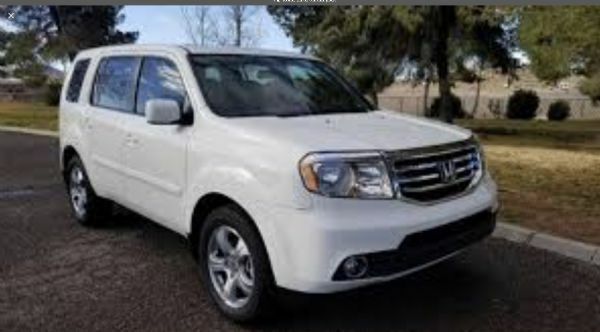 Item Description:2015 Honda Pilot. Side entry fully converted by Mobility Specialist full WC access. All leather seats, sun roof, ability to drive or be passenger from WC. 18K miles The floor has been lowered & a manual wheelchair ramp has been fitted on the passenger side. The rear pass door has been customized to open rearward. Both front buckets are removable & are on wheels for easy movement. Safety locks for the wheelchair have been installed. All services & recalls were performed. Balance of 5 Year/60K Mile Powertrain remains in effect thru 8/30/20. 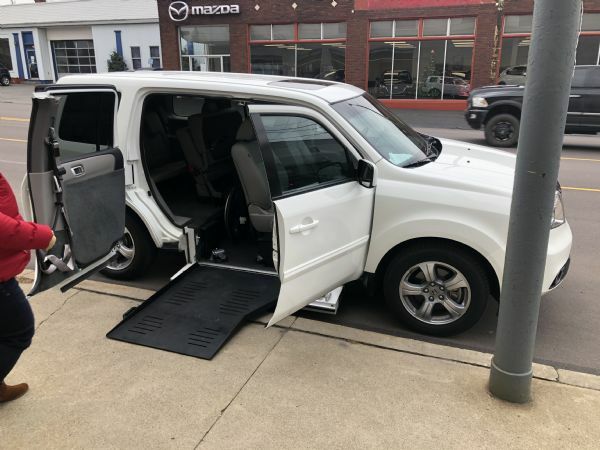 This vehicle is equipped w/Power Sunroof, Power Heated Leather, Keyless Remote, Power Windows, Power Door Locks, Power Mirrors, Cruise, Bluetooth, Aux & USB Ports, Auto Climate Control,7 Pass Seating & Alloy Wheels.